The area bounded in blue on the map shows the area covered by flood alerts and warnings for Nelson Flash Flood Alert Area. Nelson football ground and properties on Holme Terrace. Holme Terrace, Calder Terrace, Churchill Way and Kirby Road. Holme Terrace, Calder Terrace, Ecroyd Street, Sun Street, Churchill Way, Kirby Road, Lindred Road and Kenyon Road. 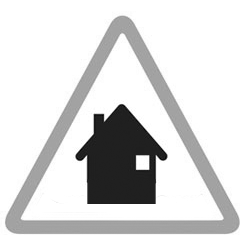 Properties off Scotland Rd, Nora St, Bolton Grove, Pendle St and surrounding roads, as well as Newbridge Mill, Nelson College, and properties in the North Park Avenue area opposite the cricket ground.